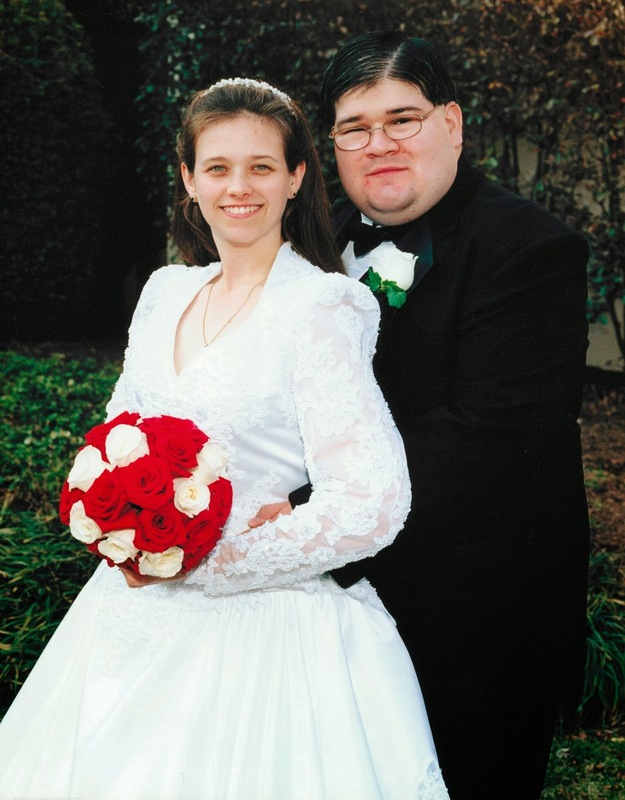 Having Left the Altar: A Sheenazing Nomination! 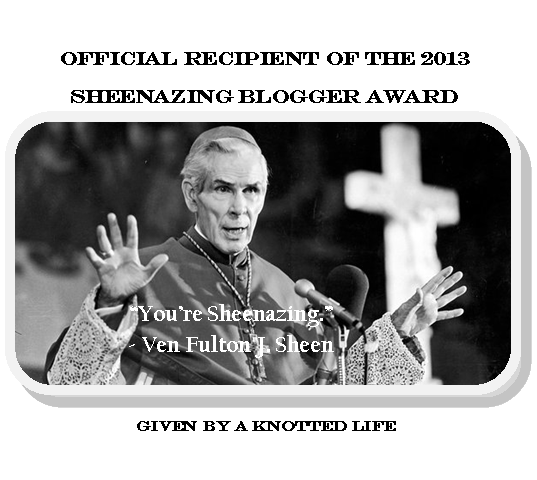 Bonnie at A Knotted Life put together a voting awards called the Sheenazing Awards after Archbishop Fulton Sheen. The Sheenazing Blogger Awards are a fun way to celebrate the excellence of the Catholic blogosphere* and are named for Venerable Fulton J. Sheen. Sheen was amazing at using the newest forms of media to communicate the beauty of the Catholic Church and his love of Christ to the world. I'm positive that Sheen would be a blogger were he alive today and that he is in Heaven, totally approving of this award. Yours truly was nominated for Best Underappreciated Blog. I'm still a bit shocked I was nominated for anything, this poor, often-neglected excuse for a blog, so it has been very humbling and I am sincerely honored to have been included. I found out about the award and the nomination on Tuesday afternoon and was promptly swamped the rest of Tuesday when James had to go to an evening meeting, all day Wednesday when James is at work all day until late, and the better part of Thursday, when we were without power and trying desperately to catch up with our schooling. Homeschooling a 7 year old and a 5 year old while caring for a 3 year old, 22 month old and 3 week old keeps me busy and I simply did not get a chance to share this nomination before voting ended yesterday evening. Although I did not win, I am truly honored to have been nominated and listed along side such wonderful blogs! If you are in the market for some new blog reading, I recommend heading over to A Knotted Life and checking out the nominated blogroll... some I know, some I still have to check out, but I look forward to doing so. Well deserved. :) Wish you'd've won!! !